The warmth has hit. The sun pours down. 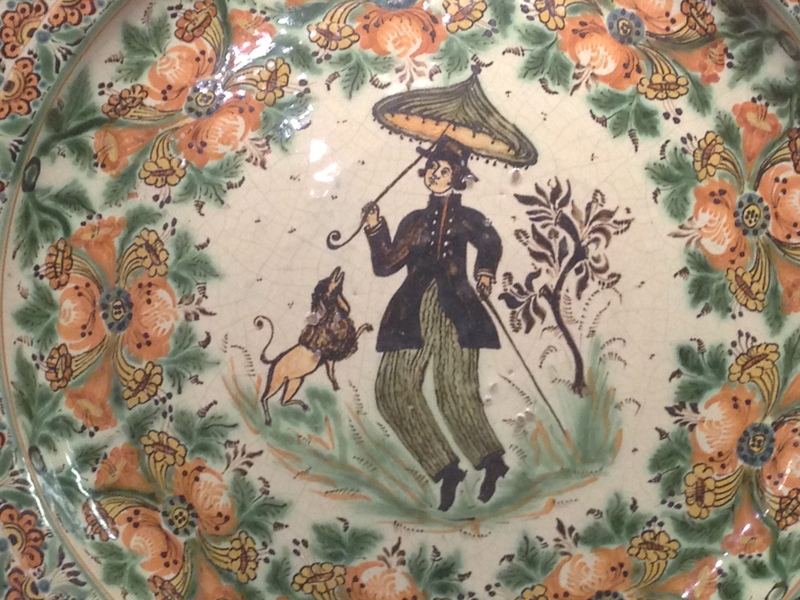 The day reminded me of the scene on a Mexican plate from the early 1800s that I saw recently at the Hispanic Society. Except I was sporting a ball cap rather than a parasol and my companion was a pit-hound rather than a lion. 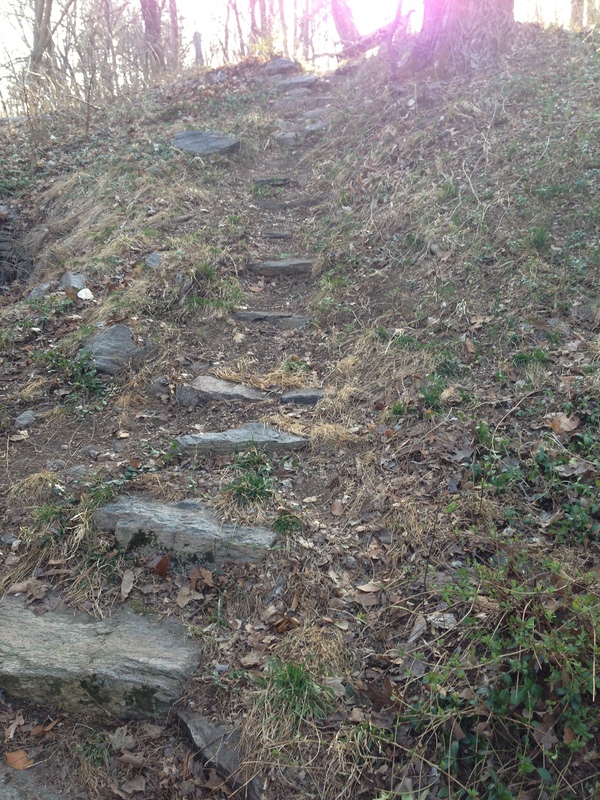 Gil and I took some time outside to rake the pachysandra beds and clear away crumbled leaves from a set of rather magical stone steps that lead to a sunset ridge near the front porch. There’s a wood bench at the top. I plan to colonize it this summer, mint iced tea in one hand, Emily Dickinson in the other. We sat on the patio late in the day. It faces east, over the marsh. A hawk soared, its breast glinting white. The peepers were even less polite than usual. 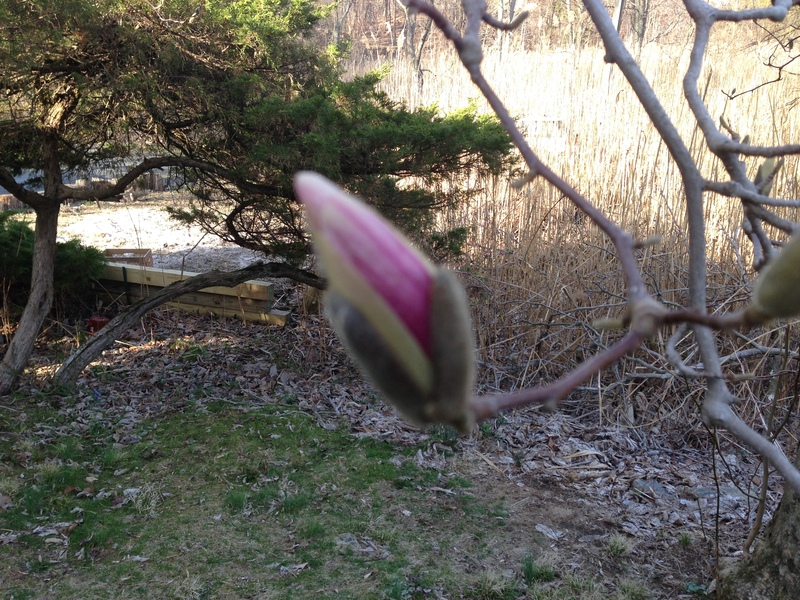 This spring has been so long to come, but the about-to-bloom magnolia knows when the time is right. Just when you couldn’t wait any longer. Reblogged this on and commented:This guy is a piece of work he daosissciates himself from Trayvon by using the term Their Child . Why is he still walking around free there is no bail on murder last time I checked. When I visited Scottsdale a year ago there was a giant dust storm. Very impressive. I shudder to think of the reaction here in the northeast if we had one. People would surely freak out. I miss the spring in the East and the Midwest. I’d love a sunset ridge with a bench. I never had a magnolia. I think my dogwoods and crabapple trees flowered in May. Here, we had a spring dust storm yesterday, all day, blocking our view of the mountains. ; any rain that fell turned to mud, so the car washes were busy today. The ocotillo are flowering, their flame-red flowers at the top of the green leafy stalks, and some agaves are pushing up huge flower stalks of various conformations, so many varieties, each stalk signalling the impending death of the plant; the saguaros flower later. The other day I was sitting out back and a vulture came down so low I could hear its wings flap and circled around me half a dozen times. Dinner? Guess I didn’t look too toothsome. The day was glorious. Every time that hawk soared over your propert and mine, the chickens did a mad dash for the coop. Hey. Poultry aerobics. The boys are covered in dirt but are tick free. Yeah. Good day in Crotonville.